You are here: Home / branding / Does anyone care how you look? Does anyone care how you look? Do people look at my headshot? Do they care what I look like? As long as I do my job well, that’s all that matters right? If you’re like most small business owners in Sydney, having a profile photograph is an afterthought. After all, there are so many things you’re working on, how you look to the world is probably the last thing on your mind. 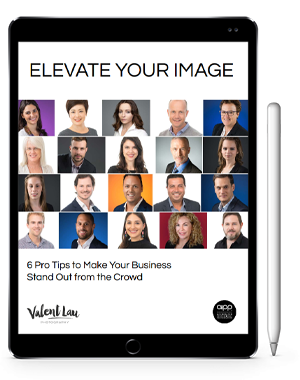 Unfortunately, your about page is the first thing your clients look for, and your headshot is probably your client’s first impression of you. Sydney Corporate Headshot Photography helps you build trust and gain the confidence of your clients so they stay on your website. I don’t have time for headshots! The last time you thought of your headshot was probably when your web developer asked you for a photo to use. Some people pull an old staff photo which makes them look like an automaton, others find their latest group shot and cut their head out of it. Who has time, right? There’s marketing to do, clients to take care of, your actual business to run! You probably thought it’s just temporary, but 3 years on you’ve never done anything about it. But it just takes an hour to have a professional session with us, which gives you photographs to use across a range of media! When you use a casual photo of yourself, it may indeed look friendly and happy. But the background is distracting, you can’t see your expression well, and frankly it just doesn’t work. Do you want to look like you’re working from your kitchen? If you look too cheap to have a professional photograph, chances are your clients infer your services must be cheap too! Now you’re wasting time with tyre kickers! Your profile photograph shouldn’t just show what you look like. It should actively build a connection with your client, by showing your qualities and personality. Which person would you feel more comfortable in calling? Which headshot do you think will attract a higher calibre of clients? Everyone is busy nowadays. Your clients are finding a dozen professionals in their area, and looking through websites wondering who to call first. Why not show yourself as a competent, friendly professional they can trust? They’ll be relieved to finish their search and get back to their lives. Our headshots are so easy and effortless, you’ll wonder why you didn’t do it earlier! You can come to our Eastern Suburbs studio or we can come to you! See what Andrea had to say about her experience. Valent Lau Photography provides Professional Headshot Photography in the studio or at your business location. Contact us now and let us help you make your best first impression.